Where was Arthur Ransome during Lenin’s funeral? Which of his books won the first Carnegie medal, the most prestigious award for children’s literature? How did he come to live “snatches from a dozen different lives”? There are short answers to the first two questions. Arthur Ransome was an eye-witness at Lenin’s funeral in 1924. In 1937 he received the Carnegie medal for Pigeon Post, the 6th of his celebrated Swallows and Amazons novels. But there are also longer answers. For Ransome’s “lives” as a literary critic, story-teller, folklorist, journalist and children’s author interweave. His interest in story-telling led him to Russian folklore. Whilst in Russia the First World War made him into a reporter. In turn journalism refined his style into the direct, seemingly effortless prose of Pigeon Post. 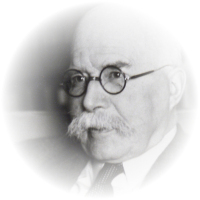 Arthur Ransome was born in Leeds, in 1884, and educated at Rugby School. He abandoned a chemistry degree at the Yorkshire College (now Leeds University) in order to pursue his growing passion for writing. Moving to London, he became a publisher’s office boy before serving his literary apprenticeship as a ghost-writer, essayist and storyteller in the vibrant, pre-war Bohemian community. 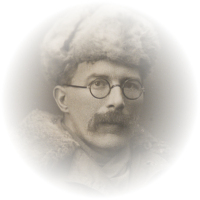 In 1913 he travelled to Russia to study folklore and write Old Peter’s Russian Tales. 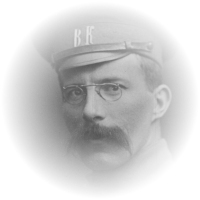 The First World War turned Ransome into a journalist. He reported on the Eastern Front and the growing political turmoil in Russia for the Daily News and Manchester Guardian. His political journalism led to his being one of the few Westerners to know the leading Bolsheviks personally and, in consequence, to involvement in both diplomatic and intelligence circles. In 1924 he married Trotsky’s secretary, Evgenia Shelepina, before returning to Britain, where he continued to work for the Guardian. As a political journalist he travelled to Egypt and China; as an essayist he wrote his highly-regarded Rod and Line series of fishing essays and numerous other articles. He resigned from the Guardian in 1929, and between 1930 and 1947 created his famous Swallows and Amazons series of children’s novels. Ransome received the first Carnegie Medal for Children’s Literature, for Pigeon Post, in 1937, an honorary MA (Durham) and D. Litt (Leeds) and, in 1953 was made CBE. He died in 1967. Go to our detailed biography. Go to our detailed timeline. Go to our 1904 – 13 bibliography. Go to our 1915 – 29 bibliography. Go to our 1930 – 47 bibliography. Go to our 1955 – bibliography. 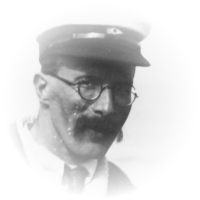 Arthur Ransome died on 3rd June, 1967. His works are therefore still in copyright in the UK and many other countries. They are owned and administered by the Arthur Ransome Literary Estate. We are grateful to the Estate for its support for ART. The Estate is administered by executors in accordance with Arthur Ransome’s instructions. The executors are Christina Hardyment, Geraint Lewis and Paul Flint. Go to more detailed information about the Literary Estate and copyright.